New site to help fellow radiologists launched! Mesenterial lymphadenopathy with fogging of meseteric root. 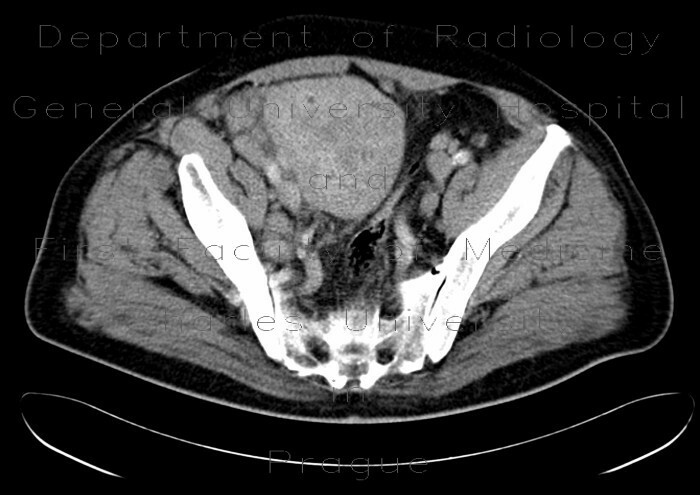 A large circumscribed formation on mesentery in the right lower quadrant consists partly of fat tissue and partly of enhancing soft tissue - this may be an enlarged liponecrotic lymph node, through similar appearace may create a liposarcoma.